Sparkle the shark loves his teeth! They are very bright and shiny. Sparkle uses his teeth to munch his food and smile at his friends. To keep his teeth looking brilliant, Sparkle cleans his teeth every morning and every night with his toothbrush. Sing along with Sparkle as he brushes his teeth. Sparkle cleans his teeth every morning. Brushing your teeth every morning gets rid of all the nasty germs that do horrible things to your teeth. Just squeeze a little toothpaste onto your toothbrush and brush all around your teeth for two minutes. After two minutes brushing all the nasty teeth germs will be gone and your teeth will be bright and shiny. Sparkle cleans his teeth every night. Brushing your teeth every night before you go to bed keeps your teeth safe from all the nasty teeth germs and bugs. During the night, the teeth germs get up to all sorts of horrible mischief that can sometimes hurt your teeth. But, don’t worry, just a spot of toothpaste on your toothbrush and you can brush away all the nasty germs so when you wake up your teeth are all clean and healthy. 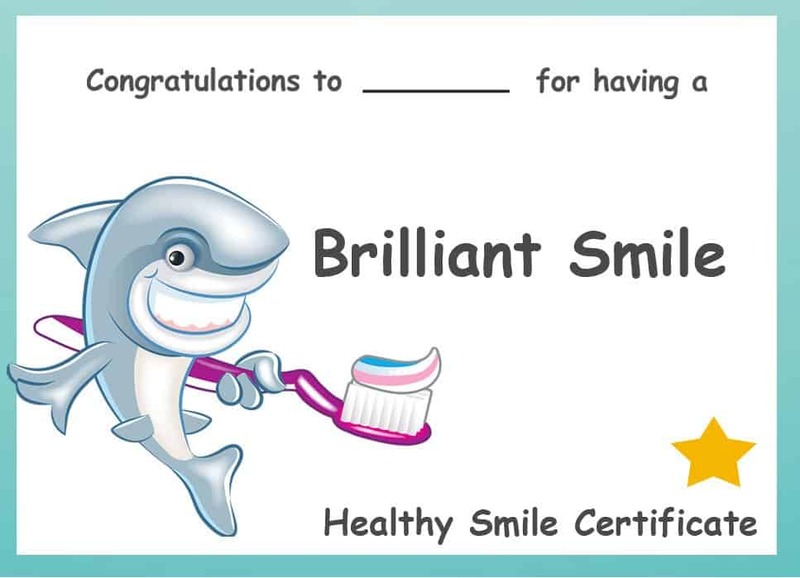 Download Sparkle’s Brilliant Teeth Certificate.